Easy to use: The Shark Evoline Series 3 flip-front helmet delivers a faster opening and an easier interaction between visor and chin bar as the flip front is raised; small change, but BIG difference when using it on the road. Reduced noise: The improved shell and flow in fibreglass, has reduced noise-levels when compared to the Evoline 2 and much improved aerodynamics in both full face and open face options. 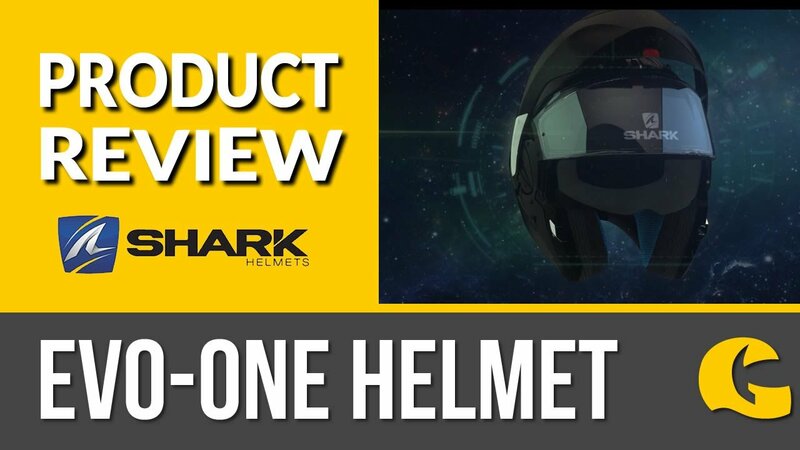 Practical features: Equipped with an anti-scratch retractable sun visor and easy fit system for a comfortable use with glasses, this is a great evolution of one of the most iconic Shark helmets! This helmet is ready for the Sharktooth system, so you can use sat navs, your phone or link to other Shark helmets. 5* SHARP rated: The Shark Evoline 3 Series is the only one of a handful of flip-front helmets that have been given 5* in the SHARP government testing lab. The SHARP test is the equivalent of the NCAP test for cars and determines flow well the helmet absorbs impact forces and protects you. • New comfortable padding with high-quality washable fabrics. Use the delicates or cold cycle & place inside a washing net.